As an investment professional, I run into what I will term "the gambling analogy" a lot. Clients often use it, and in many cases investment professionals will as well. I'll admit it is sometimes tempting as it is intuitively appealing. However, I believe it is flawed reasoning in at least four respects. I will get to those shortly. Specifically, the gambling analogy is made anytime someone refers to investing as gambling. Often times it is applied exclusively to stocks somewhat because conventional wisdom holds that bonds don't go down in value or at least aren't subject to massive volatility . . . Doh! Doh! Doh! You'll hear the analogy referenced as an off-the-cuff explanation when a stock investment suddenly loses value, "we knew it was a gamble . . . ." You'll hear it as a point to avoid "risky" investments, "I don't want to gamble with this money." You'll hear it as categorical excuse for risk taking, "Life is a gamble. You could die driving to work." The last one should be the easiest to defeat. Life is not a gamble. The lottery is. You cannot strike it rich driving to work. Life is risky, but risk does not equal gambling. Of course gambling can be a risky activity, and the magnitude and nature of that risk can vary greatly. We've got to disentangle risk and gambling. Risk is nuanced and subjective. Gambling should be more concretely definable. For example, while it can be descriptive, it is sloppy in a serious conversation to define a long-shot as a gamble. To understand why let's get a working definition of gambling and examine a popular form of the activity. 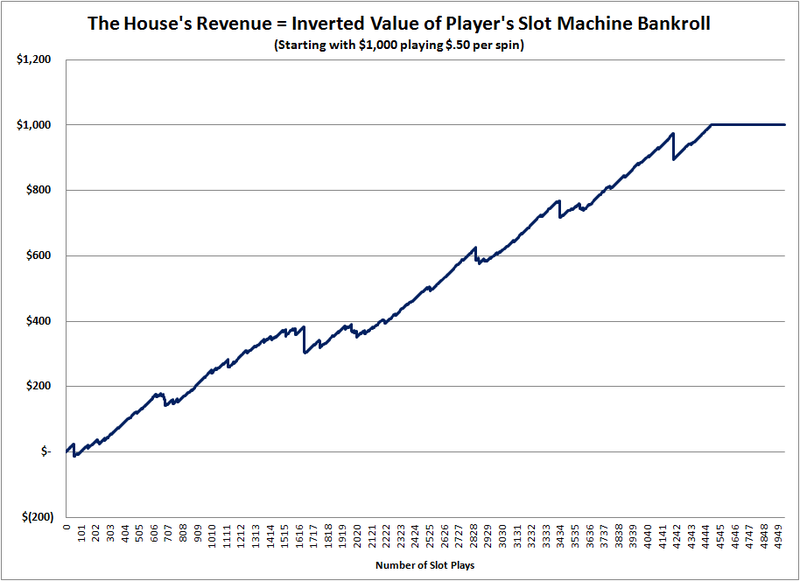 Let's define gambling as playing a zero-sum game against an advantaged host (aka, "The House") with an expected value that is slightly negative for the player(s). 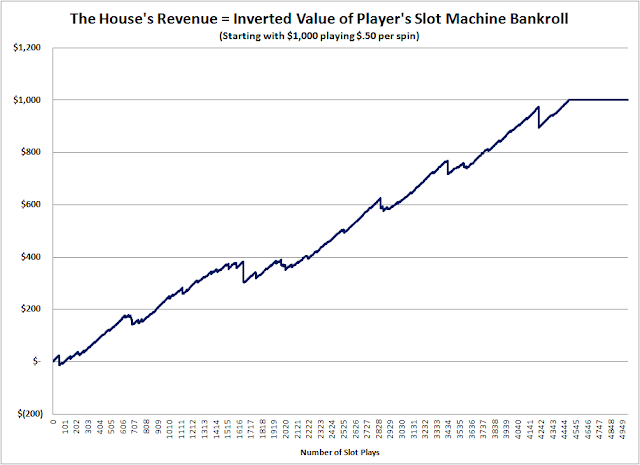 This game offers highly likely, small losing outcomes and highly unlikely, large winning outcomes for the player(s). A common example would be a slot machine. But is a slot machine really a good way to describe say the stock market? 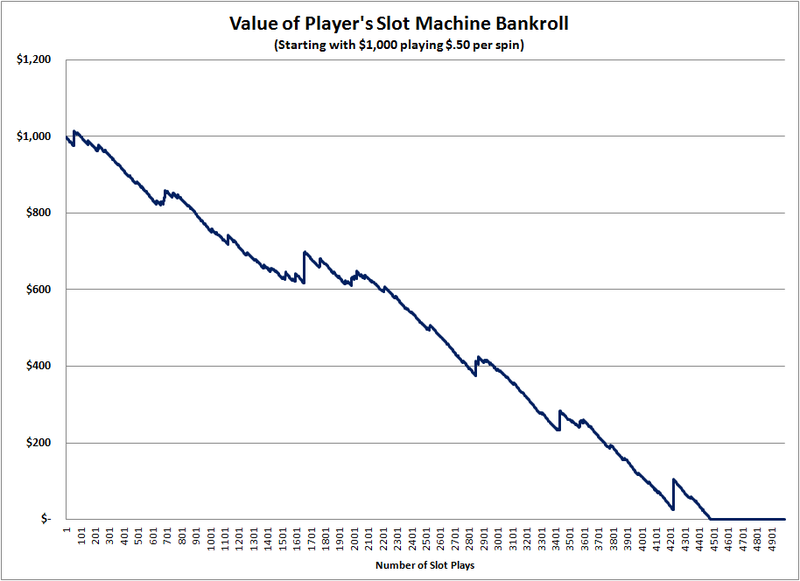 It may be, but in a way counter to the intuitive use of the gambling analogy. Many people have moralistic beliefs that frown upon or strongly oppose gambling per se. Using the gambling analogy would be counterproductive if not insulting with this group. In a gambling setting the player or gambler typically is taking on an exceptionally more extreme risk/return tradeoff than an investor. 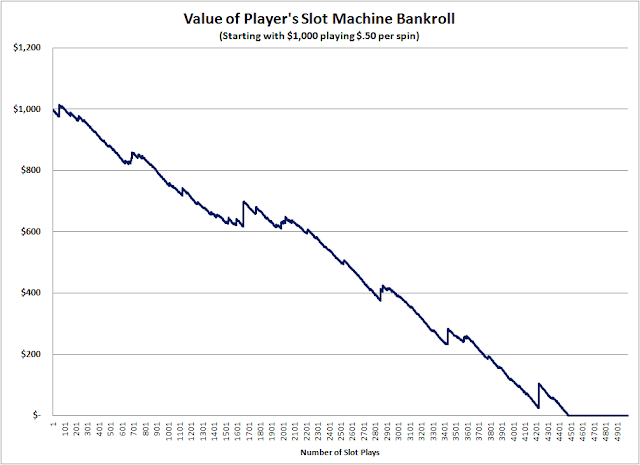 Gambling is at least monetarily a zero-sum game while investing is not. The investor is The House. The first point is self evident. The second can be seen clearly in comparing your 401(k) plan and the Powerball lottery. The third relies on an understanding that investing is the act of allocating capital. When a capital allocator like myself matches people with wealth to people with good ideas, more wealth is created on average. That leaves the fourth point. 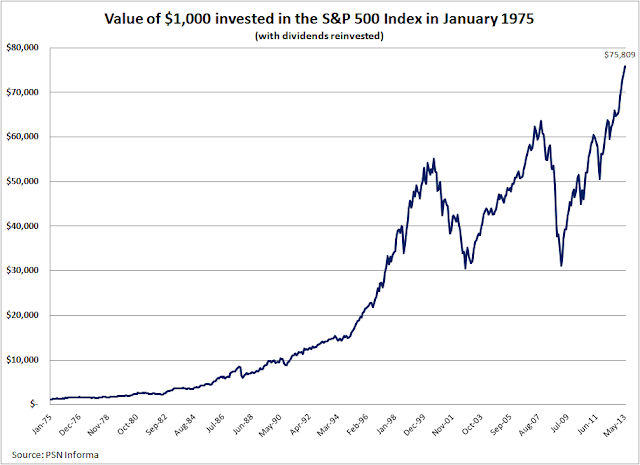 Let's look at the total return of the S&P 500 since 1975 as seen in the chart below. Because total return has a compounding effect, we'll need to look at the chart in log scale as below. That way it will compare logically (apples-to-apples) to what I'm about to show next. But what if we flip it and look at it from The House's point of view? Ah, there it is. Remember the definition of a gamble before where I said, "This game offers highly likely, small losing outcomes and highly unlikely, large winning outcomes for the player(s)"? From The House's perspective we would say, "This game offers highly like, small winning outcomes and highly unlikely, large losing outcomes." And now you see my fourth point. 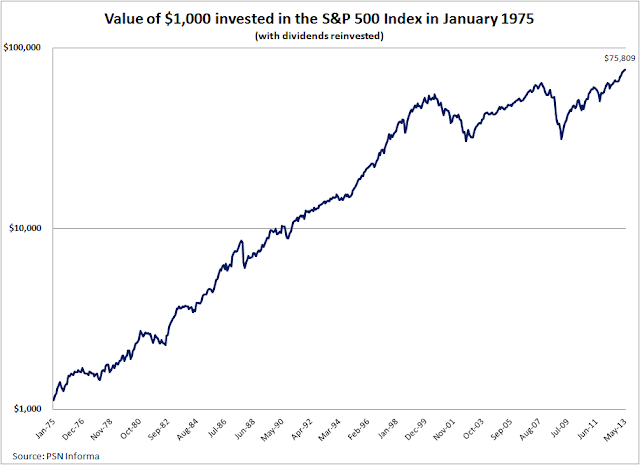 Slow and steady wins the investment race.